Dancing On My Own was written by Swedish singer Robyn, and Patrik Berger. The Electronic, dance-pop song was released by Robyn on June 1, 2010 from the album Body Talk Pt. 1 . The version by Calum Scott was performed at his audition on Britain's Got Talent in 2015. He subsequently recorded the song in 2016 and released the single on April 16, 2016 from the album Only Human . Does she love you bet-ter than I can? 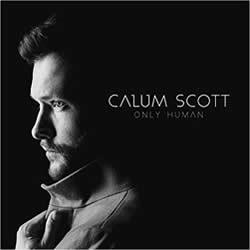 Born: Calum Scott on October 12, 1988 in Kingston upon Hull, England, UK. CALUM SCOTT chords and lyrics are property and copyright of their owners. "Dancing On My Own" chords and lyrics are provided for educational purposes and personal use only.